Several years ago, We owned and operated an antique store(shabby chic) and a thrift store, which came about from our love of saving items from the past. You could just take a quick look around our home and see that we never buy anything new! We have always lived a “recycle” kind of life. Stocking our stores and online sales became difficult using single item auctions or specialty auctions. We spent loads of time at auctions and other thrift stores searching for those under-priced items that could add to the cash-flow of our stores. A good friend recommended we look into STORAGE LOCKER AUCTIONS, and over the past decade that simple recommendation exploded our business. We made a lot of mistakes, which cost us severely on our bottom line, but we just marked all the trial and error up to “educational expense”. After a couple of years learning the business, we took on a partner that brought new ideas and a network of help that we previously did not have. 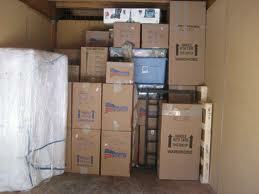 The only problem: Our new partner had NO KNOWLEDGE of the storage locker business or even its existence. So we had to take the time and energy to teach him both the fundamentals and strategies to running a successful buying business. After several months of learning, he became quite adept and seeing the value of each locker and making a good purchase decision. He did ask me one day, “Do you have this process written down, a lot of people could benefit from what you taught me?” I had never thought about it, but with the proliferation of the storage locker shows on television, it seemed a good time to teach people the in’s and out’s of the business. Entrepreneurial Spirits, who are tired of their paycheck to paycheck living, will both enjoy and be profitable in the storage locker auction business because of what information is in this report. 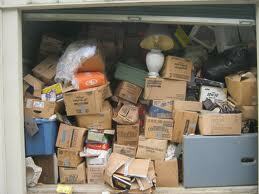 “Storage Locker Treasure Hunt” 32 information filled pages, easy to follow, showing you how to put lot’s of extra cash in your pocket every week–without having to invest $1000’s to do it! Whether you are looking to make an extra $100 a week or a few $1000 a month, it can be done in the storage locker auction business. In addition, included with the report are basic forms to track your locker purchases and sales so you can see exactly how much money you are making from each locker. These reports will also be an essential part of your tax preparation each year. Added bonus’s: with each report you will receive links to free downloads of two of my favorite books about gaining wealth! These are absolutely free downloads of “Science of Getting Rich” and “As a Man Thinketh”. These two books will make a serious impact on your attitude and ability to achieve financial prosperity, with my compliments. A lifetime of updates! Each day we gain more knowledge, and as one of our customers, we will ALWAYS pass along updates to you each and every time we update the report- FREE OF CHARGE. After you buy the initial report for just $9.95-you will never pay another dime to gain more of our knowledge of this business. All of this for just $9.95! 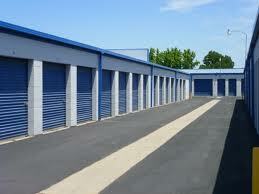 Complete step-by-step on starting your own storage locker buying business! Immediately after payment, you will be sent to a special page to download your copy of Storage Locker Treasure Hunt!